MakeFashion, a revolutionary wearable technology fashion show returns to Telus Spark Science Centre on April 2nd, featuring international designers and engineers revealing their most visionary garments yet. The world of fashion is rapidly evolving, and wearable technology is turning our bodies into an interface through everyday activities, with a team of 40+ artists, designers and engineers from Calgary, Toronto, Seattle, San Francisco and Japan, this annual fashion show celebrates the convergence and future of fashion and technology. 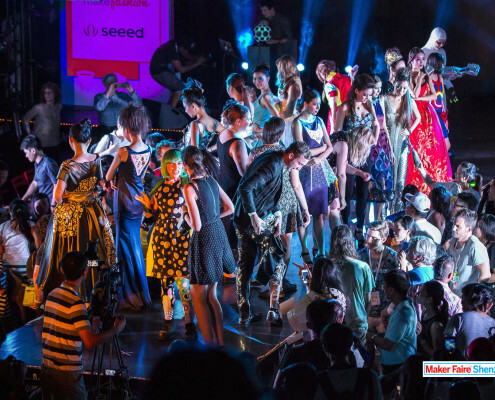 From interactive garments to laser cut and 3D printed LED-lit evening gowns, spectators of this avant-garde fashion show are in for a treat as the full collection promises to be a feast for the eyes and the imagination! MakeFashion’s home is ARCHEloft Makerspace and Wearables Lab, located in Victoria Park, where it hosts workshops, events, meetings and networking sessions. Get ready for our fourth annual gala! it will once again showcase wearable technology fashion from teams including Canadian professional designers and engineers, emerging designers and international designers. The combination of skills and ideas creates stunning results and groundbreaking fusions of light, fashion and performance. From awe-inspiring responsive runway dresses to scientific wearables with practical applications, MakeFashion designers are inspired by fashion with functionality. Don’t miss out: Tickets for our 2016 Wearable Tech Gala in Calgary are available now. 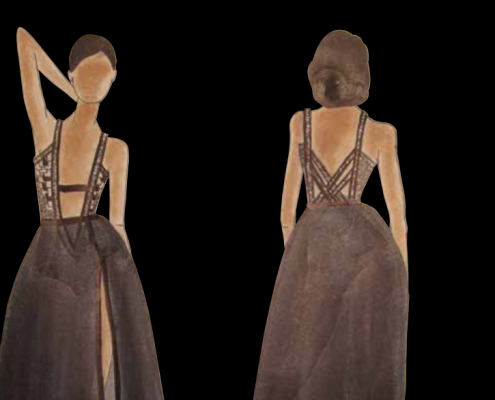 Have a glimpse at our concepts and sketches for our 2016 Wearable Technology gala. Meet our elite team of international curators from our project judging panel.